Dedication and passion for a top quality coffee. A decisive step, a new evolution. We continually research and assess our materials, so that each product may help maintain and improve the balance of our planet. Every day, we work with dedication and passion to offer you top-quality coffee. A better coffee for a better world. Every day we work with dedication and passion to offer you a top quality coffee. So the story of a perfect coffee goes on. 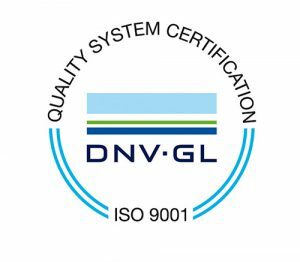 This important certificate, issued by the prestigious international organization called Det Norske Veritas (DNV), ensures that all the company’s procedures are controlled and carried out in accordance with the specifications defined in a 200 page handbook. Every single company employee, operating in the production, administration, and marketing fields, is aware that he or she must respect the rules and procedures delineated by the company; every operation is regularly checked, thereby ensuring a consistency in the quality of the products as well as of the services. Computer systems have been adapted to provide support and also to function as a procedure control system, reducing paper documentation in favor of digital documentation in order to increase the information’s speed and safety. An internal manager constantly monitors the observance of regulations, and, once a year, the DNV conducts a strict examination of our company. When Miscela d’Oro decided to seek certification, its goal was to create a system, spearheaded by an external agency, that constantly monitors its processes. This system enables Miscela d’Oro to illustrate that its primary aim in customer satisfaction is not a mere generic affirmation of good will but is instead the logic behind the daily work of each member of the Miscela d’Oro family: an objective that is tenaciously pursued with ongoing perserverance.